You gotta like Mr. Eggplant. Look at that fun-loving dude. Don’t you want to hang out with him? I do. If you do I have a terrific idea. Get some construction paper and some markers, glue and glitter. Just kidding. Don’t do that. 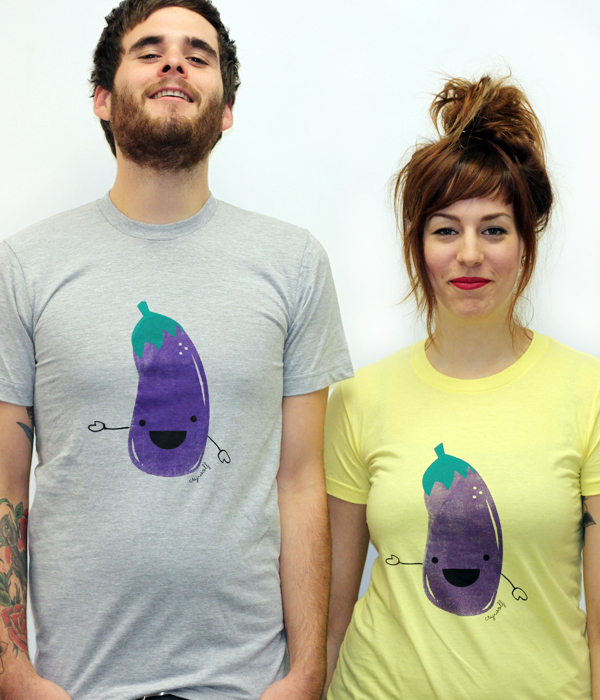 The only thing you have to do to hang out with Mr. Eggplant is get the shirt and he can be smiling on your chest any time you like. I mean look at him. He’s a bit fancy too with that tilt at the top of his head. And that purple is just beautiful. Okay I’m going to stop now, because I’m getting emotional.